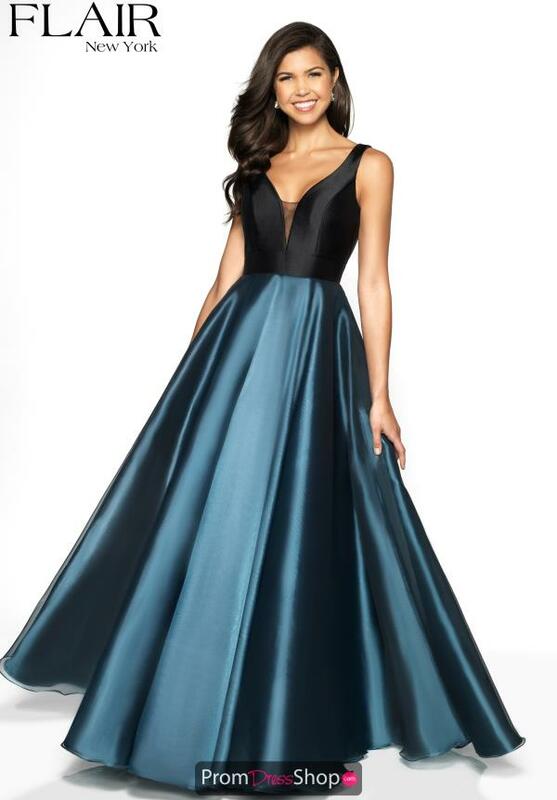 Made in a beautiful midnight color, this Flair prom dress 19040 will be sure to leave a lasting impression. Creative designer showcases a statement bow on the backside of the waist for a sweet touch. The contrasting black bodice features a v neckline and open back. A swaying organza material gives you the perfect full a line silhouette.